January 2012 Newsletter - Happy New Year! December Stats - 14348 Pageviews from 6900 unique visitors. Our most visited index pages, in order of popularity were: ENQUIRY - INDEX - NEWSLETTERS - CLASSIFIEDS - BUSINESSES - INFORMATION - ACCOMMODATION - NEWSLETTER 131 - ATTRACTIONS - SHOPPING - TIRAU - NEWSLETTER 119 - REAL ESTATE - NEW LISTINGS - NEWSLETTER 112 - EQUINE. 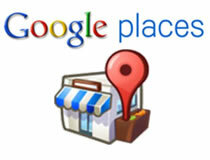 * Google has acknowledged that one out of five searches on Google is location related. This therefore translates to billions of “local” searches a month and is increasing by 50% per annum. * For example, if you are a hypnotherapist in Northland, you want to show up when someone does a search for “hypnotherapist Whangarei” or some other variant of that. 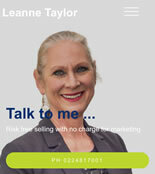 Setting up your Places page with your business positioned correctly can have a dramatic effect. * A good Google Places listing can help your website rise in the search engine rankings, which in turn increases your power to make contact with new prospects and customers. 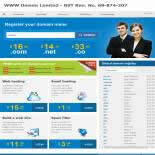 Your places page can also be used to promote sales, events, discount coupons or anything else you desire. * Google Places has now become an important marketing niche in it’s own right, with business consultants specializing in assisting businesses to use it properly. 1. Be consistent with how you list (type) your address and phone number. For example our street address is “80 Warner Park Avenue”, but if I use “80 Warner Park Ave” or “80 Warner Park Ave.” Google can read it as 3 different addresses. Same applies with phone numbers. "(09) 817-9656" will be seen as being different than "09-817-9656," which is different again to "(09) 817 9656." If you have an 0800 or 0508 number, show your local number as your primary phone, and show the toll-free number as an additional one. Our company name is "WWW Design" but we don't show "WWW Design" in one place, then in another place put "WWW Design Limited." As with addresses and phone numbers, the search engines may think that these are two different companies. Check your website to be sure you are consistent throughout your site. Then, do it the same way on your "Places" page, and your "Yellow" listing, and your “Localist” listing, and on any other sites you may have a listing. This may seem obvious, but people miss it all the time. And if your site shows as “www.yoursite.co.nz/”, don't list it in your Places page as “www.yoursite.co.nz”. That tiny difference may pose a problem. Posting reviews or testimonials from happy customers is one of the most influential things you can do to get your "Places" page ranked well. Encourage your customers to find your Places page and then write a review. Reviews on your Places page are particularly important in pushing it to the top of the search results, which gets you more visitors, and more visitors means more credibility and integrity for your website. Certification can include listings in other directories, trade organisations that your business belongs to or is associated with, specific websites promoting the services or products that you are offering. Every time your website is listed online and gets a good citation, you reinforce your importance in Google's eyes, which in turn improves your website’s search engine ranking. These are only a few of the things you can to develop the effectiveness of your Places page. Anyone can do these 7 things, even those without a lot of technical knowledge. But remember, if you don’t have time to do this yourself, WWW Design can sort this for you.